"Hopefully, it's just 'see you later', and not goodbye." They're the words of Nic White from which Australia and especially Brumbies rugby fans should take much solace. 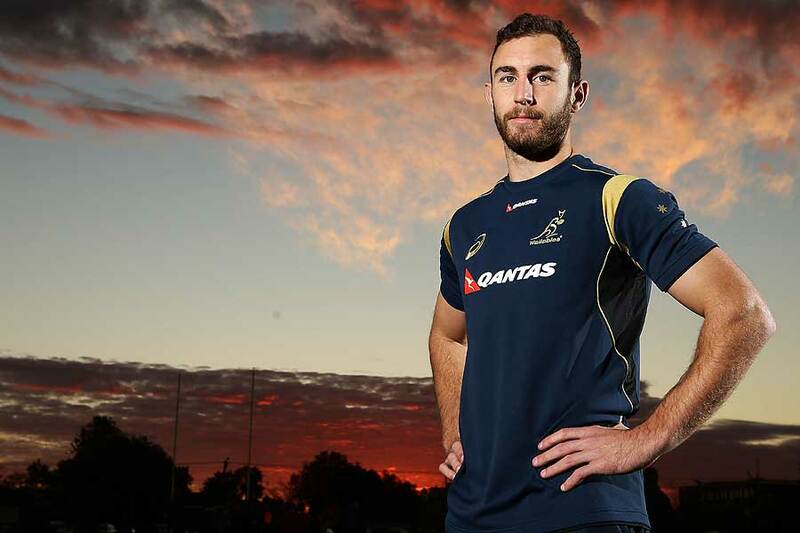 Though it seemed a bit strange that a 24-year-old Wallabies scrum-half would turn his back on the local game and head to France as he was entering his prime, White says this was always part of his plan, to go and experience playing overseas earlier in his professional life rather than later. "When I first saw rugby as a potential career, I had it in my mind that I wouldn't wait too long and have the opportunity [to play overseas] pass me, and then have to clutch at whatever offer I could get," White told ESPN exclusively. "I wanted to be able to go over there and get better, and I felt like now was as good a time as ever. "When I was thinking about the offers in 2012, it was definitely too soon to be thinking that way. But I think that this is the right time, at [nearly] 25, and I feel like the ball's in my court, as to whether I want to potentially come back and reignite the career in Australia or really enjoy it over there and stay. "Too many players get to 29, 30, and they're not wanted by anyone. It can be pretty volatile, and it's a pretty cut-throat business, so I thought I'd take the opportunity now because you never know what might happen in three years. I might not be wanted at all." "I'm not just going over there for a holiday; I'm genuinely there to play rugby, and to fit into a team that has aspirations of going a long way." I have been lucky enough to spend a bit of time with Nic White this season. While he was ruled out of playing for the best part of a month mid-season, White very enthusiastically took to radio commentary as part of the ABC Grandstand team in Canberra. He even spent one game down on the sideline with me, a shift notable for the increased firmness and regularity with which he punched me as the tense final stages played out. And I learned that his approach to commentary is not too dissimilar to his approach to playing. It's all fun and games and jokes behind the scenes; but as soon as we were broadcasting live, White was on his game, offering insights and analysis that can only come with experience. His commentary on scrums was disturbingly accurate for a half-back, until he finally gave up that, after living with former prop Dan Palmer for three years, he didn't get to watch many games in full; just the scrums. Likewise, when the press conference cameras were rolling this week, White assured everyone that he wasn't focused on the possibility that the important pre-finals showdown with the Crusaders could be his last game in Canberra in a Brumbies jersey. He'll head to France later this year to link with former Brumbies coach Jake White and skipper Ben Mowen in Montpellier, and Jesse Mogg, who is also heading to the French Top 14 club, but this week was "all about the team". 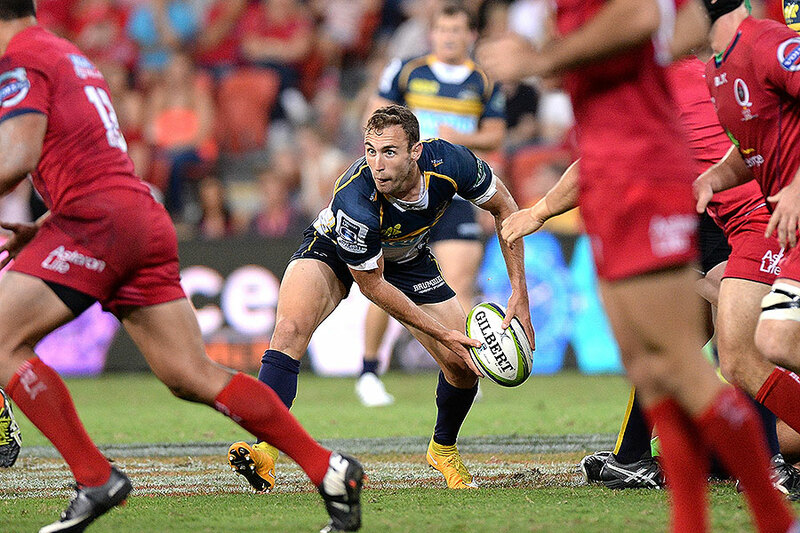 Sitting down afterwards, however, White admitted the prospect of never again wearing the Brumbies jersey at GIO Stadium is with him this week. "Yeah, I'd be silly to say I haven't thought about it," he told ESPN. "I've tried to put it at the back of my mind, but I think with those sorts of things, the best way to deal with it is to take it front-on and plan for it and then get it over and done with. "So we've spoken about it, yeah. I've got a lot of family coming down this weekend - all 28 of them - so it could potentially be my last game down here, but I hope hot. I hope it's just a 'see you later' and I seriously hope I can come back at some stage, in some capacity." Much as White says an overseas move was always part of his planning, he also revealed that certain aspects within the planning aren't necessarily going well. Like the weekly French lessons, for instance. "Yeah, not great," White says of how his grip on the new language is developing. "It's coming along, but at the rate Jake [White] is signing foreign players, I may not need it. I might just need to learn Afrikaans! "I am learning French every Tuesday, though. It's a lot harder than I thought, or me and Jesse first thought. I don't know why we thought it would be easy, but it is really tough. I am trying, and I'm hoping I'll really pick it up when I get over there. When I land, I want to be able to show that I've put some effort in, and that I'm not just going over there for a holiday; I'm genuinely there to play rugby, and to fit into a team that has aspirations of going a long way. White says the Montpellier decision wasn't fuelled by any desire to link with his former coach and captain. "I was actually talking to Montpellier before Jake signed on; that just happened to work out really well," White said. "The lifestyle, and the type of the place it is - it's a little bit smaller than Canberra, and I do like that small, country feel. "It's a little bit warmer than other places in France," he laughs, "and also I wanted to go to a team that was likely to play finals, and so I thought Montpellier was a good fit. "Going over there, and it's been well documented that there's a few other 'names' going over [the du Plessis brothers from the Sharks have been long rumoured], and I think we'll do really well. And I'm going over there to play some really good rugby, to win some trophies, and I guess the ultimate goal is to look at a guy like 'Gits'. "There have been plenty of Australian guys that go over there, and it's like they've hung up the boots; you forget about them. Matt Giteau's name has been further cemented; he's got better since going over there. That's the ultimate plan for me." White's timeframe for departure is somewhat fluid at this stage. He says the Australian Rugby Union has granted departing players a blanket release the moment they're not picked in a Wallabies squad. So he might not get there until after the Rugby World Cup, or it could be at the end of The Rugby Championship; or he could find himself rapidly packing things up in mid-July. "A loving girlfriend who is preparing, and perhaps some naive confidence, means that I haven't packed anything up yet," White concedes. But he also admits the new ability for Michael Cheika to call on a versatile - and world-class - player such as Giteau means that White's not sure where he stands. "So whether I'm in that top two [scrum-halves], I'm really not sure; all I know is that any player who isn't selected for the Wallabies has been granted an immediate release." White admitted to "losing a few nights sleep" when the revelation that a player such as Giteau was suddenly on the Wallabies radar again, but he realised soon enough that he just had to get on with the job. "All I can do is work hard, train hard, play well for the Brums. I'll either get picked or I won't," he said. And with that, he has possibly one last assignment at home in front of him, in the form of a wounded Crusaders side looking to farewell a couple of legends, and stinging from missing their first finals campaign since 2001. It doesn't really provide much chance to enjoy the moment of a 'last' game. "It's just another week, it's the way I've attacked things my whole life. People keep saying, 'stop and smell the roses', but hopefully I'll just have a heap of roses at the end of my career - I'll look it 'em all then! "There won't be any time [to 'smell the roses' on the field]; I'll have to be on my game. I've never beaten the Crusaders, so I've got to be on my game and concentrating; I can't have any 'moments'. It's all systems go to finish the season on a high; and you never know, maybe it's not my last game at Canberra Stadium this season."